This portion of the bathroom is by far the most important one to get the lighting just right. 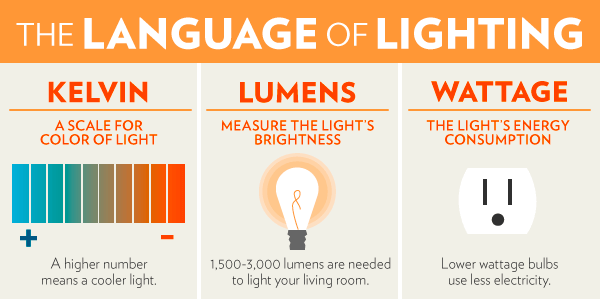 There are two types of lights in particular that work best for lighting up the sink and mirror. You are going to want to have the light source between you and the mirror so that it doesn’t create any annoying shadows. The most common choice is the vanity light bar, this sits above the mirror and casts light down the mirror surface so you have an even light across the entirety of the mirror. Typically the vanity light bar should be 3/4 to the full width of the mirror. 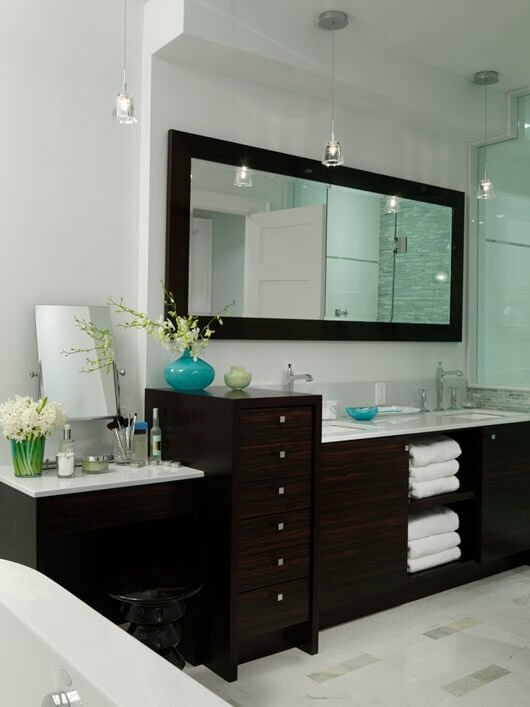 If your vanity area is a lot longer than the mirror is wide you may need additional lighting above those areas. This could be easily done using small pendants evenly spaced in these areas. Another option is to install wall sconces on each side of the mirror, you will need to put them eye level or above so you are not blinded by the lights.